Did Bravo Fine RHOC's Kelly Dodd Over Vicki Gunvalson Comments? 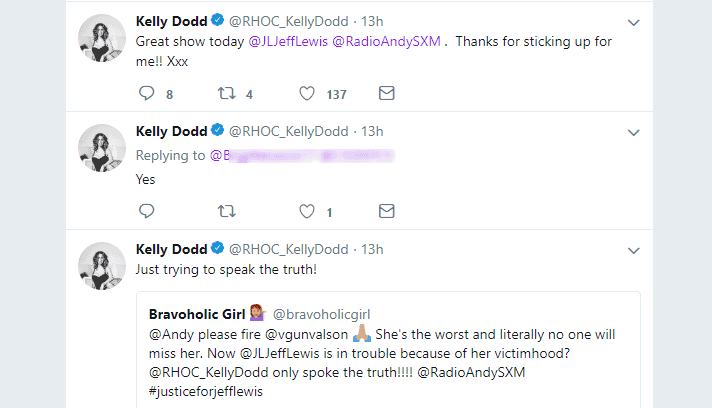 Real Housewives of Orange County star Kelly Dodd did a radio interview last week with Bravo star Jeff Lewis, and it appears Kelly’s comments got both her and Jeff in trouble with Bravo. 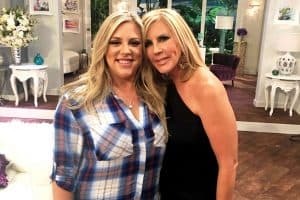 In fact, Kelly got fined by Bravo over the comments she made about the RHOC and castmate Vicki Gunvaslon, according to Jeff. Okay, so to backtrack here. Kelly appeared on Jeff’s Sirius XM radio show, Jeff Lewis Live, on Friday, May 4. 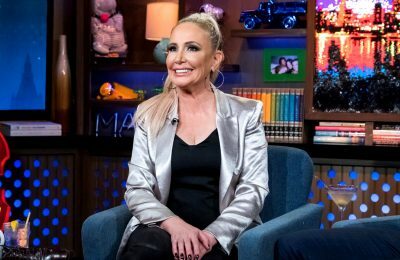 During that interview, she was quite open as she called Vicki a “backstabbing b*tch”, confirmed new housewives were added to the cast (she wouldn’t confirm their identities) and also teased what fans could expect on the new season. So why did Kelly get in trouble with Bravo? 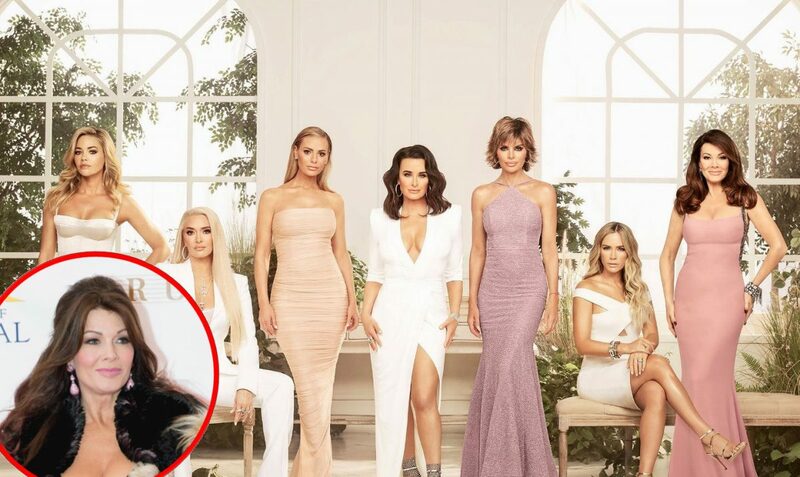 Well, Jeff dished about the behind the scenes drama on the May 11 episode of his show with guest Lea Black and, according to him, Bravo wasn’t happy that Kelly talked about the upcoming season of the RHOC. Additionally, they also fined Kelly for apparently badmouthing Vicki as well. “We want to extend a very sincere apology to Bravo and to Kelly Dodd because apparently last week Kelly Dodd was on our show and upset a few people at Bravo. She was reprimanded and apparently fined,” said Jeff. “As you know, Tamra Judge was fined. From what I understand, she went after Vicki on social media,” Jeff added. He was referencing when Tamra slammed Vicki over some rumors she spread about Tamra’s husband’s sexuality. Jeff then went on to reveal that he suspects Vicki was the one who called Bravo to complain about Kelly’s interview. “I think Vicki turned Tamra in. And I think Vicki turned Kelly in this week. That is my guess,” he stated. The reason? Because last August, Jeff did an interview during which he stated he felt Bravo should fire Vicki if she refuses to reconcile with Tamra and Shannon Beador, citing that the show had become toxic with the ladies not getting along. According to Jeff, Vicki decided to sic her lawyers on him. “Well, let me tell you how I know she did. Because remember when I made the mistake on this radio show when I said she should be fired and I apologized to her via text, she had her attorney call me and they demanded a public apology,” Jeff shared. And due to the controversial Kelly interview, Jeff says Bravo has now banned him from having housewives on his show unless their season is currently on the air. 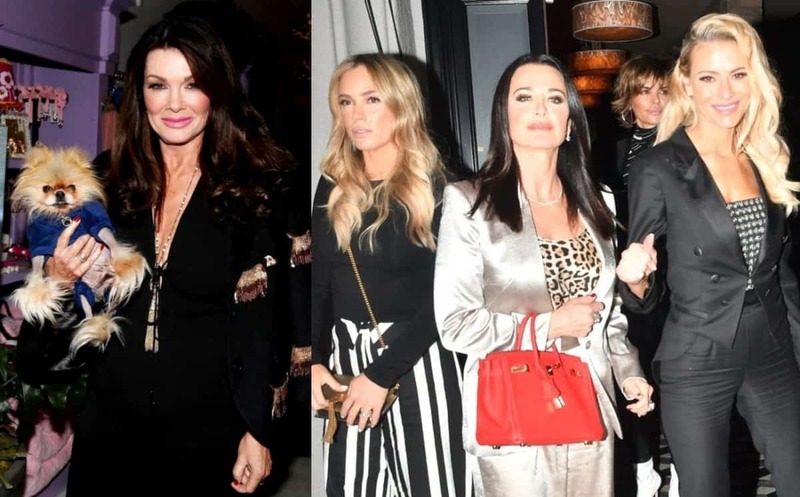 Jeff was a bit crushed about this as he planned to have Kyle Richards on for an interview in a few weeks, but with RHOBH going off the air this week, he wonders if Kyle will still be able to come on. Kelly does have a point as the story about Vicki hooking her ex-husband up with his new girlfriend was already in the public domain. Finally, Jeff dished that one of the RHOC ladies recently got a face lift, but he stopped short of saying who. Interesting. He also joked that he suspects he will be getting another call from Bravo following his latest comments! Well, safe to say this upcoming season of the RHOC won’t be lacking in the drama department! JEFF LEWIS LIVE in 15-minutes with @leablackmiami on @radioandysxm Channel 102. Listen anytime on demand at bit.ly/JEFFLEWISLIVE Link in profile. Jeff’s radio show airs Fridays on Radio Andy XM. TELL US – THOUGHTS? DO YOU THINK VICKI COMPLAINED TO BRAVO?